Donate Your Car – It’s Easier than you think! Donate your car with the click of a button, or a call in to our toll free line. Your vehicle will be assessed for processing as a recycle-ready, or re-sale ready, car. The net proceeds from the sale will be forwarded to your choice of hundreds of receiving charities, so when you donate your car you do more than just clear the driveway – you make a difference to the cause you care about. Donate Your Car to the Cause You Love! 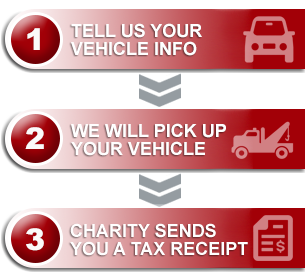 Your vehicle donation holds monetary and sentimental value. We’re here to honor both. With integrity and attention to on-time detail, the gift of your car will be carefully handled for you so that you can easily gift the charity that matters most to you. When you donate a car, you’re making a difference to the charity that matters most to you. You can choose any registered Canadian Charity to gift, and we will ensure their receiving process is easy as well. There are no fees charged to the charities at any time so they can put every one of your donation dollars to work for the cause you care about. We take care of you and your car. We take care of your charity.